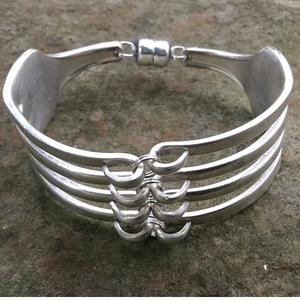 Vintage silver plated forks cut and hammered to create a unique bracelet with a very strong magnetic clasp. 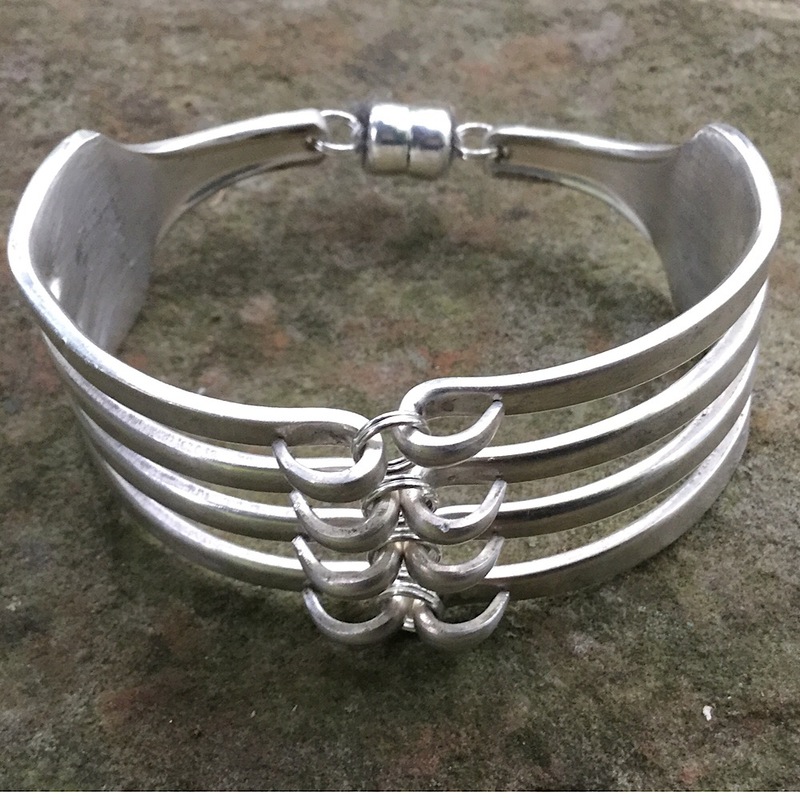 This bracelet is available in small, medium, and large. Please choose your size.